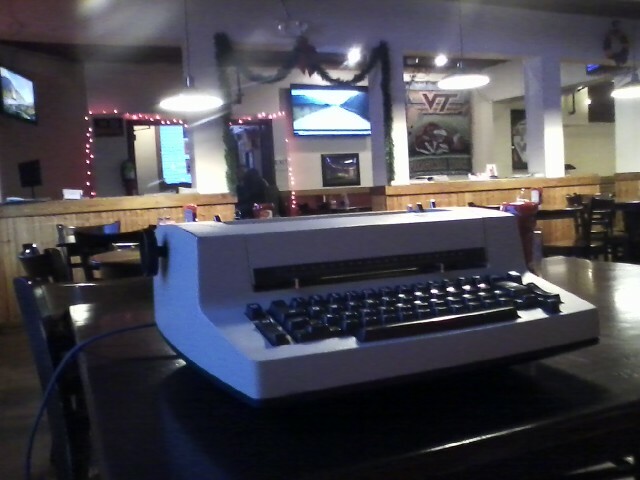 An IBM Selectric Personal at a local bar in Blacksburg. I got quite a few looks, but it was pretty fun and totally worth lugging it around. This is amazing. Move over Brother, here's my IBM.